Special thanks to Hugh Sheppard for bringing Westville Plantation to our attention. Late 1700s  Earliest known date of existence when founded by General Robert Anderson. He had been rewarded the land for his service during the Revolutionary War. General Anderson served along side his friend General Andrew Pickens, who owned nearby Hopewell Plantation. Anderson also served in the South Carolina State Legislature and as the Lieutenant Governor of the state plus was a founder of the Old Stone Church. Anderson County is named in the general's honor.
?  House built by General Anderson. It would be destroyed by fire (1). 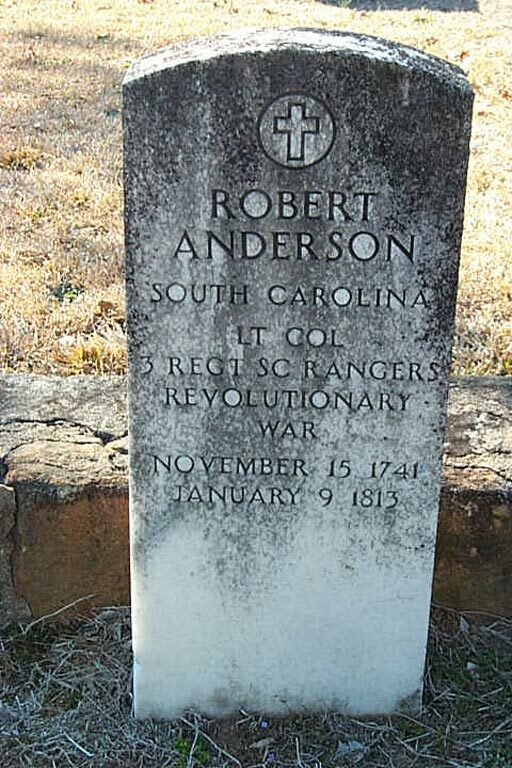 1813  General Anderson died leaving the plantation to his son, Robert Anderson II (1).